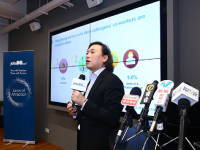 jobsDB Laws of Attraction is the largest recruitment study ever conducted in Hong Kong, surveying nearly 6,000 job seekers across 20 industries. With our extensive data, you will get precise recruitment insights to better your people strategies. Since its launch on 7 March, the findings have generated hot discussions among the public on what candidates look for. Let’s see what the talking points are. There is no single best recruitment formula for talent acquisitions. Talents from different industries and with different backgrounds have different preferences, let alone you have your own recruitment concerns. Along with our Laws of Attraction survey findings, the Data Lab is here to help. It is a dynamic data exploration tool which allows you to dive into the data and compare whatever segments you want. This is where you can easily uncover the specific insights to solve your very unique recruitment obstacles. Over the years, hundreds of graduates have started chasing their dream career with our campus campaign, Amazing Journey. On the theme of “to become a vlogger” this year, students are expressing their creative ideas from plot planning to actual production with teammates. We are in the progress of reviewing the entries. Stay tuned for more updates on the winning creative work. “Recruitment” and “talent acquisition” are terms often mistaken as having the same definition. This state of confusion is not surprising as the two terms are frequently used in the HR world. Nevertheless, there are distinct differences between the two terms and understanding them can help HR professionals hire top talent better.